Botox® is one of the many trade names for Botulinum Toxin A – a liquefied protein that has been safely used by the medical profession for many years. It is widely used in cosmetic medicine to reduce the appearance of lines and wrinkles, mainly to the periocular region (eye laughter lines), forehead and glabellar (between the eyes). Botulinum toxin is the most popular cosmetic intervention worldwide and whilst it is used mainly to relax facial muscles it can also be used for other indications too such hyperhidrosis (excess sweating) and headaches. 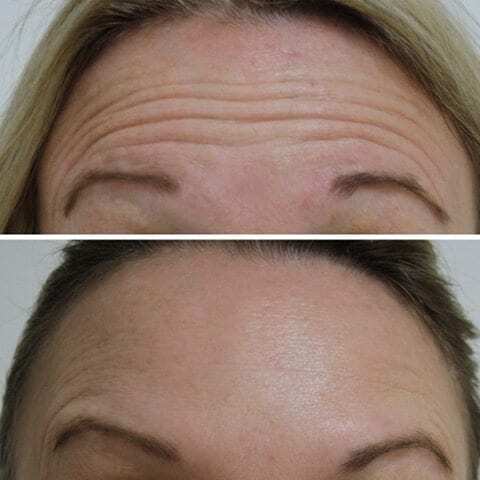 Botulinum toxin is a popular, simple and effective treatment. Small quantities of Botox® are injected into selected facial muscles. This relaxes the muscles, thereby causing smoothing out of the skin above and minimises creases, lines and wrinkles. Botox® is commonly used on the forehead and around the eyes. However, it can be used on other areas, such as the neck, mouth, nose and hands. Used over a period of time it can also stop new wrinkles from forming. The team at The Banwell Clinic is highly experienced in administering Botox® injections. We focus on creating natural results that subtly make the face appear fresher and more youthful, without the need for surgery. We do not like the ‘over-done’ look and so work with you to create a natural, healthy appearance. ‘Baby botox’ can often be used for those new to the treatment and uses smaller amounts. In contrast, ‘Brotox’ a term for Botox use in men, often requires larger amounts of product to have the desired effect. 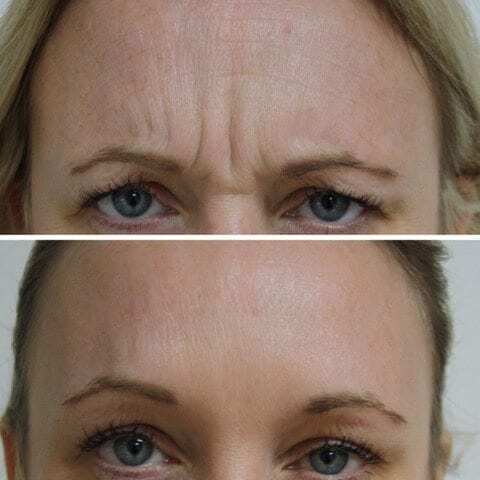 Anti-wrinkle Botox® injections are a quick and simple procedure and you should begin to see results after a couple of days. Prior to your treatment you will have the chance to talk thoroughly about the procedure with Mr Banwell and his aesthetic nurses. They will explain all about what to expect and answer any questions you may have. They can also suggest any alternative or supplementary treatments that may suit you. How is Botox® carried out? Very small quantities of Botox® are injected directly into selected facial muscles using an ultra-fine needle. This immobilises the muscles and stops them from contracting. The appearance of lines and wrinkles is reduced and the skin appears smoother. The effects of Botox® are not permanent and this treatment does no long-term damage to the facial muscles. It merely causes the injected muscles to “hibernate” temporarily. The injections are virtually painless, as the needle used is incredibly fine. Following the treatment you may experience some very mild swelling and/or soreness. However, this should subside quickly. What results should I expect from Botox®? Once the injections have taken effect on the muscles your skin should start to appear tauter and less creased very quickly, creating a more youthful appearance. You should expect to see optimum results after about 2 weeks, with the results lasting for around 12 weeks or more. What are the complications of Botox®? Botulinum toxin is generally a safe treatment. However, it is a medical NOT a beauty treatment and patients need to understand that complications can occur. Some people do not respond as quickly to normal doses and thus may require higher doses/ top ups. However, the commonest problems following botox may be mild asymmetry and bruising and drooping of the brow; there have been rare reports of allergic reactions too. 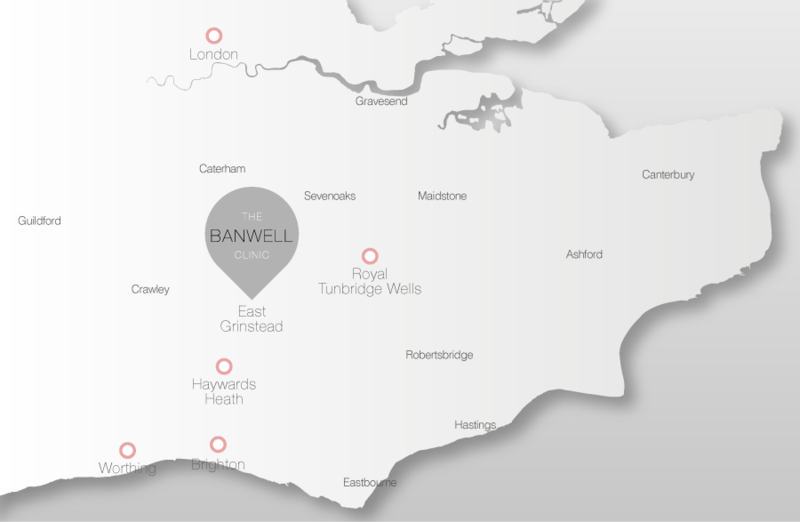 The cost of Botox® at the Banwell Clinic depends on how many areas are being treated. Prices start at £190.